A Difference in Brain Chemistry | Pastor Brad Hoefs, M.Div. Who is a loved one? Usually loved ones are those who are friends and family of someone who is struggling with a mental health issue. So, if you love or care about someone who has a mental health diagnosis then you are a “loved one”. In the first half of each Fresh Hope meetings loved ones are included in Fresh Hope group meetings. We find that when loved ones hear the stories of others who have a mental health issue, they gain insights that they might otherwise not have understood from the very one that they have come to help and support. Also, loved ones are able to help those who have the mental health diagnosis understand and gain insights from the perspective of family and friends. It becomes a significant time of “cross pollination” and shared insights. For many who attend Fresh Hope, this is one of the greatest strengths of our meetings. Loved ones are more than welcome to attend even if the person whom they love or care about is not yet attending Fresh Hope. We have found that many times the loved one is initially aware of the need for support more than the person who might be in the midst of a mental health crisis. During the second half of each of our meetings the loved ones meet as a group and encourage and problem solve together. Research shows that when those who have a mental health challenge have a good support system of family and friends, they in fact do better with their recovery. My wife and I have been attending Fresh Hope meetings. We have been married for 39 years and she was first diagnosed with Bipolar disorder approximately 30 years ago. Like most spouses, I had no idea how to react to the many complications of this mental illness. I still struggle with this. Are my responses too harsh or not harsh enough. Do I let things slide because she has the disease. Am I supporting her in an appropriate way that is helping her or am I hindering her recovery? 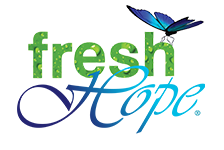 No one has all the answers, however, the group at Fresh Hope has helped me tremendously. Listening to those afflicted with mood disorders and how their families interact (or don’t interact) with them, and hearing their feelings has opened my eyes. Also, sharing experiences with other “loved ones” and hearing what has worked and what hasn’t is priceless. Unfortunately, not very many spouses or partners attend the Tuesday night meetings. Although the primary focus is (and should be) on providing hope to those affected with mood disorders, I would like to invite the spouses, partners, family and friends to come to one of our meetings. At the beginning of the meeting, after an opening prayer, we all read the tenants of Fresh Hope. One of the main themes is that of privacy and confidentiality. There is usually a topic presented by Pastor Brad or the facilitator for the evening. If the group is big enough, we will then break up into groups. Normally this would include one group consisting of the people that have been diagnosed with one of the mood disorders and another group including loved ones. When there is not enough to divide, we will all stay as one group. I have found both situations very helpful. Hearing how other family members have reacted or dealt with the illness of their loved on has helped to give me insight and hopefully I can share my experiences and ideas to help them. I’m writing this letter for a couple reasons. The first one is selfish as I know I can learn from others experiences. The second is that several of the group have mentioned that they don’t feel their spouses understand their mental illness and are not supportive of them. In some cases, when asked if they have discussed this with them, they say they don’t. They feel that the spouse should just know what they need from them. Some of them even tell us that they don’t want their spouses to come, as they feel this is their special place. I can only say that this group has helped Cathy and I tremendously and I hope that you will give us a try and perhaps you find the hope, support and friendship that we have. After all, mental illness of a family member affects the entire family and we all need to have hope.